Environmental activist Alex Gonzalez-Davidson made a direct ap­peal to Prime Minister Hun Sen via Facebook on Wednesday for help se­curing a visa to return to Cambodia to attend his pending trial for aiding a trio of fellow activists. The three activists from the NGO Mother Nature, which Mr. Gon­zalez-Davidson co-founded, were arrested and charged by the Koh Kong Provincial Court in Au­gust with threatening to cause damage. The charge stems from their cam­paign against sand dredging companies they claimed were operating illegally. On Wednesday, court director Huon Ma­ny confirmed Mr. Gonzalez-Davidson had been charged, too. “The court has already charged him with being an accomplice to the same crime his subordinates com­mitted,” he said, declining to com­ment further. In 2014, government officials ac­cused Mr. Gonzalez-Davidson of set­ting up an illegal checkpoint along a road leading into Koh Kong’s Areng Valley as part of a sep­arate Mother Nature-led campaign against a planned hydropower dam. Rather than taking him to court, however, the government re­fused to renew his visa and deported the Spanish citizen early last year. Mr. Gonzalez-Davidson says it is his legal right to attend his trial. In a video posted to his Facebook page yes­terday, he asks Mr. Hun Sen for help obtaining the visa he needs to re­turn to Cambodia. 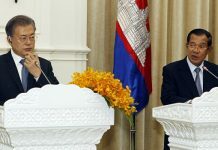 “Prime minister, as you already know, Koh Kong’s court has re­cently charged me with being an ac­complice in a ‘crime’ together with three other Mother Nature ac­tivists…in relation to our campaign against sand mining in the province of Koh Kong,” he says in Khmer in the video, which is accompanied by Eng­lish subtitles. “Koh Kong’s court will soon at­tempt to sentence me in absentia, some­thing I cannot accept as this would be a gross violation of my rights,” he says. Mr. Gonzalez-Davidson says he will apply for a visa at an unspecified Cambodian Embassy. 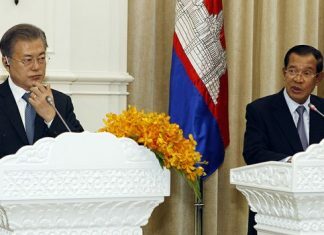 “Therefore, I would like to ask that you, as the prime minister of Cambodia, kindly ex­pedite my application so that I have the chance to return to Cam­bo­dia and attend my own trial,” he says. Mr. Gonza­lez-Davidson said by email that he planned to ap­ply for a visa in Thailand, where he shot the video. Legally, visas are the purview of the Interior Ministry’s immigration de­partment. 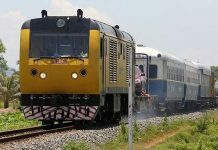 General Sok Phal, who heads the department, said he was awaiting instructions from the prime minister. “I saw the video, but I [do] not yet know about the [prime min­i­ster’s] decision,” he said, de­clin­ing to comment further.